UK's no. 1 marketplace with over 1 million users! 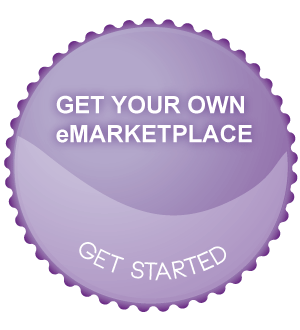 @Marketplace with over 1 million logins we believe that the @Marketplace is the largest b2b marketplace in the world. There are over 2.3 million products from @UK PLC SiteGenerator ecommerce sites and over 1 million more products available via punchout, with over 3 million products that have been purchased via punchout or are visible on the @Marketplace at any time. The key difference is a balanced attitude between buyers and suppliers. @UK PLC seeks to allow supplier to make their goods and services as easy to purchase as possible for customers, and display their offerings through high quality ecommerce sites. Some suppliers choose not to invest in their ecommerce sites, and so have lower quality sites, but by ensuring that invoices match requisitions the data is kept up to date, and over time the suppliers move to improving their sites. We are now making the marketplace public and promoting it, so that people can see all the content on the marketplace, and this will provide some additional benefit for those suppliers with high quality sites to sell more through the system. B2C ecommerce systems have to be usable with out training, where as most procurement systems are unusable with out training. eCommerce sites always have the correct prices including carriage, discounts etc. All catalogue based procurement system are unable to cope with carriage calculations, promotional discounts and sometimes even straight forward volume discounts. As far as we are aware @UK PLC is the only eProcurement system with connections into all major banks for credit card acceptance. B2C ecommerce is not a trusted environment, eprocurement is normally a trusted environment and eprocurement processes often have flaws that were exploited at the start of B2C ecommerce. @UK PLC passed the 1 million user mark back in January 2010, and has achieved critical mass. We believe this is more users than all other UK eprocurement systems added together, and probably the largest eprocurement system globally. In addition @UK PLC has a strong track record in EDI , our original parent company @Software PLC wrote one of the top 10 EDI sites which was a shared system used by over 100 manufacturers to trade with all the major supermarkets.